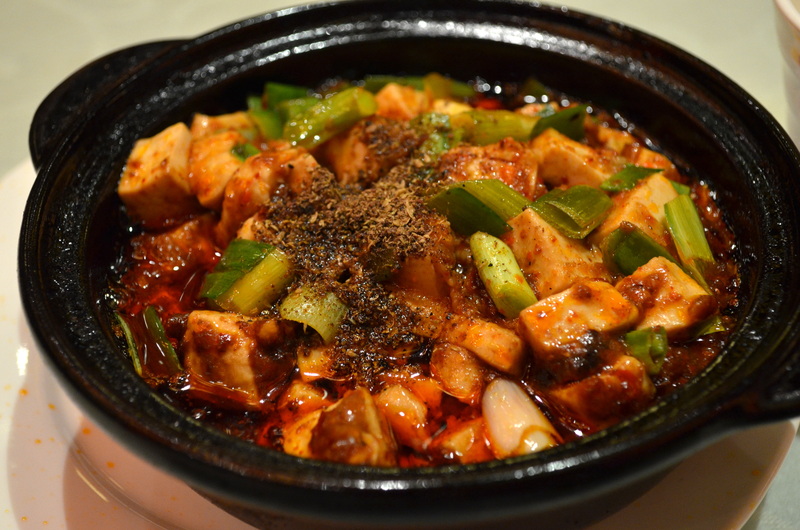 Chen Mapo Tofu is another restaurant I went to twice during my visit, and unlike Chengdu Yingxiang, it wasn’t because of a larger tourist attraction nearby, but because the food was pretty good. The first visit was a solo lunch, but I wanted to sample a few things, so I definitely over-ordered: cold braised pigs’ feet, lettuce with sesame peanut sauce, tea-smoked duck, and a small portion of mapo tofu. 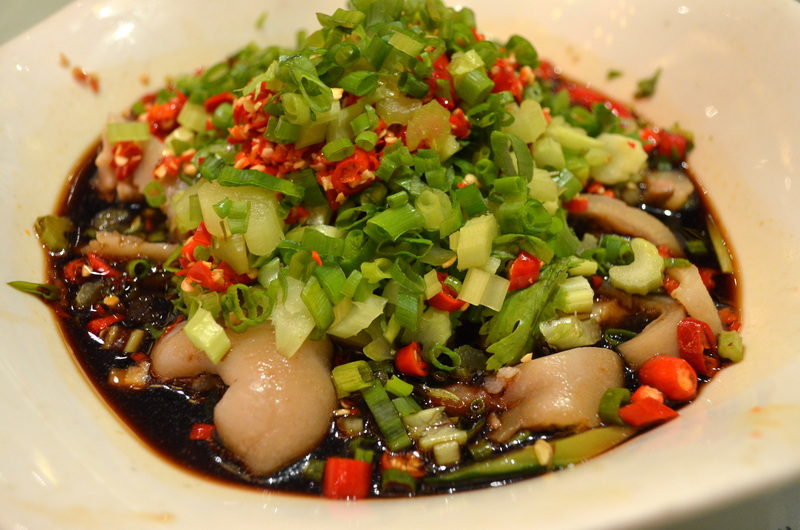 I loved the gelatinous crunch of cold pork skin, tendons, and cartilage, as well as the lively kick of fresh birds-eye chilis and green onions in that funky sour black vinegar. 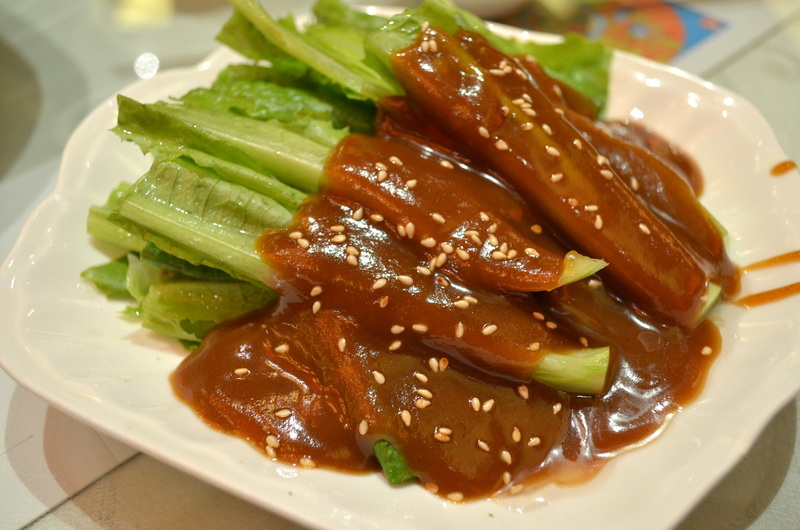 Lettuce in a sweet peanut sauce was also delicious, sticky and sweet with a watery crunch (a slightly better version of celery with peanut butter). 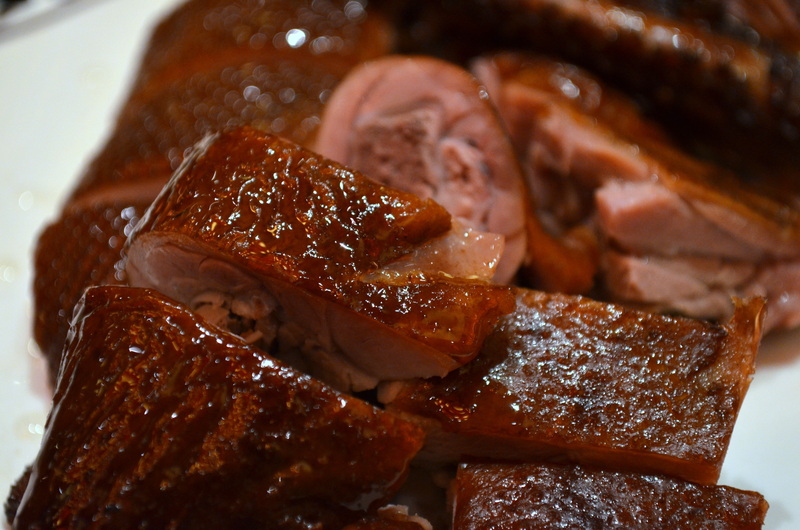 The duck was wonderfully smoky, the caramel skin pressed to the peppery meat. 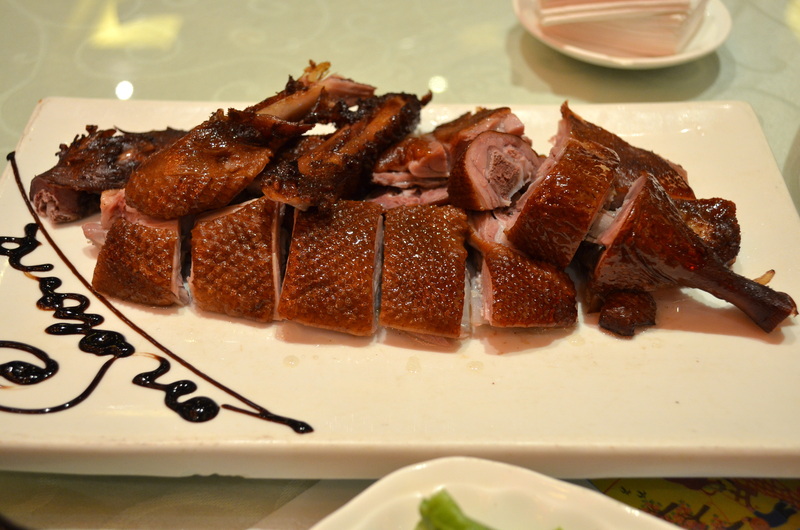 What I liked about this dish was that, unlike Peking duck, it wasn’t particularly greasy, with hearty pieces of meat. And for the finale, a bowl of Chen’s famous mapo tofu, topped with a liberal tablespoon of ground pepper. I noticed how large and fresh the chunks of scallion where (which were nice counters to the gooey blitz of heat and non-texture), and the intensity and brightness of the fermented bean paste (豆瓣酱). 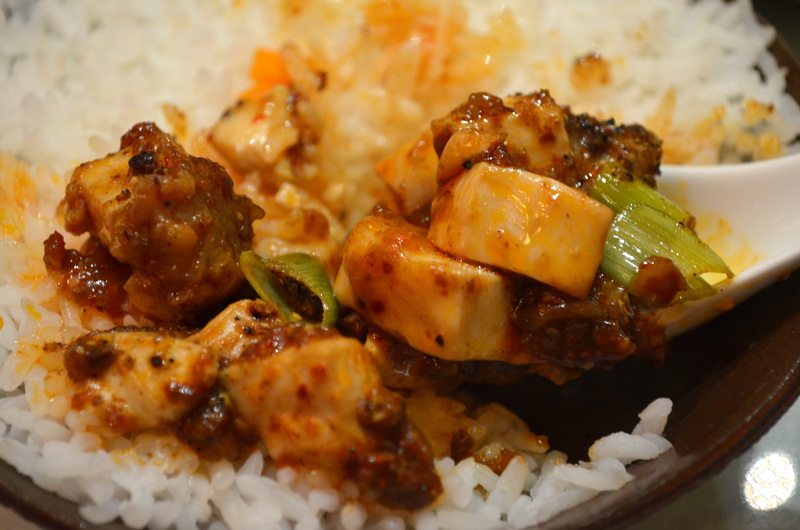 The silken tofu was cut into relatively small cubes, perfect for dumping onto a fresh bowl of white rice, which itself was a futile gesture at slowing the rising heat. No way, compadre. So when I came back with Myra, we also ordered one of these, plus a cauliflower hotpot, some red-oil braised fish, and twice-cooked pork. One thing I can’t fault Chen for is the feed-a-family sizes of their portions. 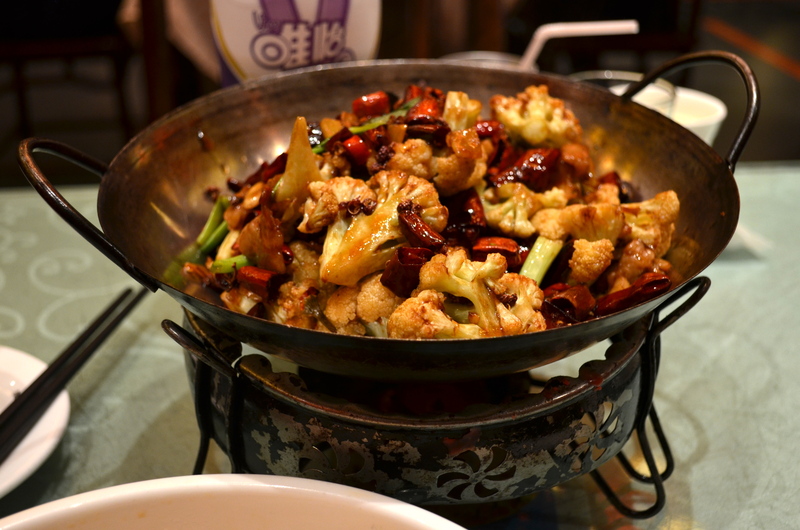 The cauliflower was very tasty, especially when the pot had stabilized in temperature and the physical heat helped intensify the effect of the dried chilis. 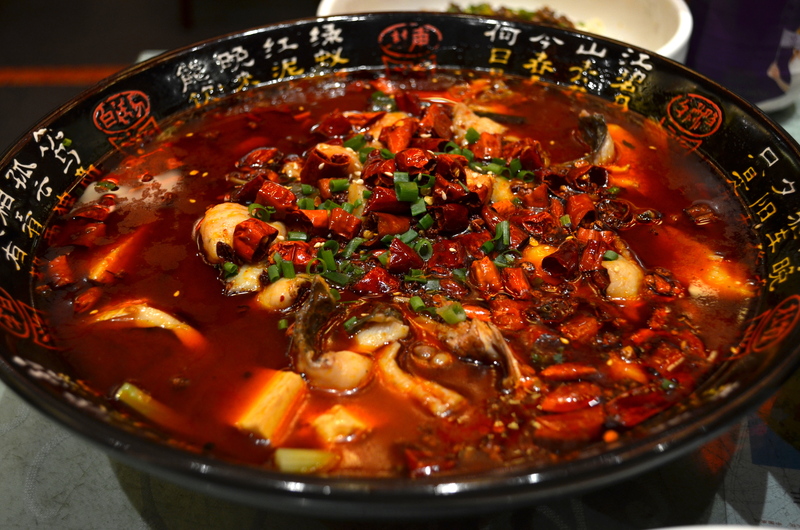 As a Hunan chef explained to me once, the key to dry hotpots is to have enough oil so that the pot doesn’t burn, which then tends toward very greasy dishes. This was an exception, deeply flavorful without being drowned in oil. 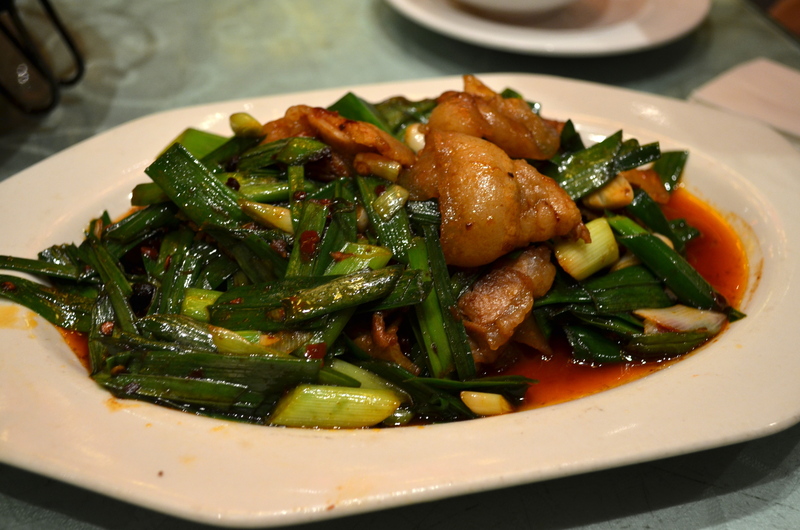 Speaking of drowning, this was our red braised fish (水煮鱼), with a disappointingly minimal smattering of chilis. The fish filets were quite plentiful, but in comparison to what I’d had just a few nights prior at Ming Ting, this was decent but not as exciting as what the hole-in-the-wall joint was putting out. Same with the twice-cooked pork, compared to the version that I’d had at the Museum of Sichuan Cuisine. Again, decent, particularly as far as ingredient quality goes, but a notch below. Then again, the Museum is an hour-long cab ride out of the city, so for the sake of proximity and convenience, Chen is still a really good bet.